At ProDental, you have the assurance of treatment by a Board-Certified Implant Dentist, Dr. Donald J Provenzale, Jr DDS. Introducing our new dedicated Dental Implant Center, Chewswisely. A separate, yet connected facility. We offer a wide range of options to make your visit comfortable. 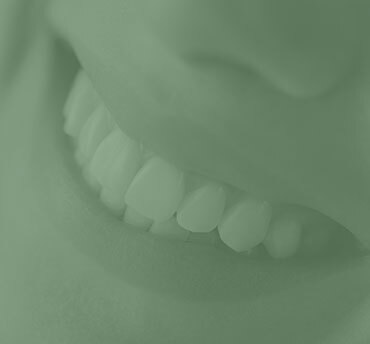 ProDental offers a broad range of services for your dental health. We care about your dental health and want you to be well-informed. If you are looking for a Downers Grove, dentist you can trust, look no further than ProDental Family Dentistry for all your dental health needs. We provide treatment in a comfortable, relaxing environment, and give you the personalized, gentle care you are looking for. We want your visit to our Downers Grove, office to be a pleasant one, and as stress-free as possible. We provide a wide range of services at our office, and help our patients in many different ways. We accept most PPO insurance, and you will receive a free consultation so that you know all of your options. Our highly trained staff is committed to your total satisfaction, and we have evening appointments so you can meet us at the most convenient time. We also have same day appointments available. Many people wait until they're experiencing tooth pain to go to the dentist. But at ProDental Family Dentistry, we prefer to help our patients avoid discomfort in the first place. At our dental practice, we emphasize the importance of preventative dentistry and take steps to educate our patients on how to maintain proper oral health. ProDental Family Dentistry strives to provide quality care to all of our Chicagoland patients. At our dental practice, we take an individualized approach to oral hygiene to address our patients' specific needs, all the while maintaining an inviting, soothing office atmosphere. Whether you're a new patient or have been with us for years, we pledge to keep your comfort in mind as we provide you with the oral care you need to stay healthy. Whether you're due for a general cleaning or are experiencing tooth pain, we'll address your concerns in a relaxed environment and take the time to answer any questions you have. When you visit our practice for dental fillings, you'll be greeted by a welcoming staff and a team of caring, compassionate dentists who want your experience to be a positive one. Whether this is your first cavity or you're used to the idea of getting cavities filled, we'll walk you through the process from start to finish and answer any questions you have. For quality dental fillings, turn to the team at ProDental Family Dentistry. Call our office today to schedule your appointment. Are you tired of staring at that chipped tooth at the front of your mouth? Kind Family Dentistry with may have the answer, and it comes in the form of dental crowns. As a trusted dentist office, we offer crowns for cosmetic and restorative purposes so that our valued patients can enjoy their smiles while preserving their oral health. A dental crown from Kind Family Dentistry may work to improve your smile while helping to maintain the affected tooth as well as the teeth that surround it. Missing teeth can have a serious effect not only on your smile, but also on your oral health. Missing teeth can impact the alignment and integrity of your surrounding teeth, causing you further problems down the road. And missing teeth can also result in unwanted periodontal disease and decay. If you're missing teeth, come to ProDental Family Dentistry, our dentist office that provides dental bridges to patients in need. Dental bridges from ProDental can fill in the gaps where teeth are missing while helping to preserve the structure of your remaining teeth and bite. Dental bridges help our Downers Grove patients eat more comfortably and smile more confidently. And when you come to ProDental for dental bridges, you'll benefit from our dedicated staff and gentle, individualized approach to restorative dentistry. If you have lost or missing teeth, you may wish to consider dental implants from ProDental Family Dentistry. 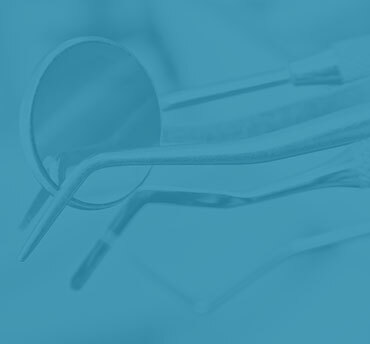 At our Downers Grove office, we offer implant dentistry services designed to restore your teeth and maintain the structural integrity of your mouth. Whether your missing tooth is the result of periodontitis, tooth decay or an injury, we can help restore your smile with a beautiful new dental implant that looks and functions just like a real tooth. Significantly stronger than bridges or dentures, dental implants offers a single and permanent solution to lost teeth. And when you come to ProDental Family Dentistry, you'll be treated with the nurturing care and professionalism that embodies our practice. Have questions? Just call today to schedule a consultation. We'll walk you through the implant process and address any questions or concerns you might have. A new and improved smile can be yours thanks to our dental implants, so contact us right away. In the past, teeth with diseased nerves often had to be removed. But thanks to advances in root canal therapy, dentists today are often able to salvage diseased teeth. If your tooth is severely damaged or decayed, come to ProDental Family Dentistry. Our Downers Grove dental practice offers services in endodontics and root canals designed to preserve our patients' teeth. Even if one or more of your teeth seem badly diseased, we may be able to help. If we determine that you're a good candidate for root canal therapy, we'll take the time to explain the procedure and answer any questions you might have about your treatment. And during your appointment, you'll benefit from our thorough and gentle approach to root canal therapy. Years ago, aesthetic improvements in dentistry often meant multiple appointments and invasive procedures. But thanks to advances in cosmetic dentistry, dental professionals are able to help patients achieve spectacular results in a far less painful and time-consuming fashion. ProDental Family Dentistry are pleased to offer our valued patients a variety of cosmetic solutions to suit their aesthetic needs. Whether you're looking to fix a single crooked tooth or desire more extensive cosmetic work, ProDental Family Dentistry are at your service to provide gentle and cost-effective cosmetic dental treatments. When you visit our practice, you'll benefit from our individualized, attentive approach to cosmetic dentistry. And because we want you to be comfortable with your course of treatment, we'll take the time to address your concerns before we get started. With convenient appointment scheduling and a friendly office staff, ProDental Family Dentistry are the dentists to go in for cosmetic dentistry services. For more information or to schedule a consultation, call us today. 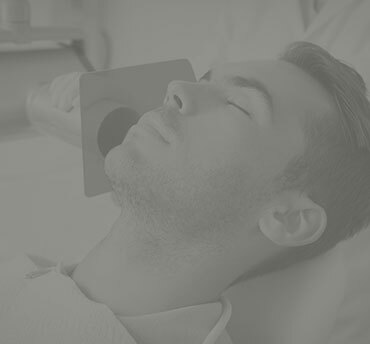 Wisdom teeth extraction is important to protect nearby teeth from infection. When to see a dentist about your wisdom tooth removal? It is important to see your dentist right away to prevent further complications. An Impacted wisdom tooth can be very painful, ProDental can help relieve the pain and fix the problem. Wisdom tooth removal cost - Most tooth extractions are partially covered by dental insurance. We also offer financing to help lower the financial burden of the procedure. ProDental specialized in Wisdom tooth removal by our licensed oral surgeon. As with any dental procedure, we will want to initially conduct a thorough examination of the wisdom and surrounding teeth. Panoramic or digital x-rays will be taken in order for your dentist to evaluate the position of the wisdom teeth and determine if a current problem exists, or the likelihood of any potential future problems. We hope your search for a dentist in Downers Grove ends at ProDental. We will always strive to provide you with the most minimally invasive treatment possible, and get you on the road to improved dental health as quickly as we can. If you would like to schedule an appointment with , give our office a call. (630) 969-7711 Call Us Today!